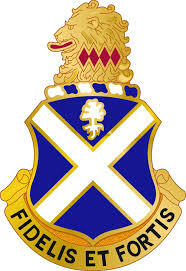 Unit: Delta Co 2-113th IN 44th IBCT, NJ Army NG, Jersey City, NJ. Sgt. Thomas F. Anastasio “Stacey” of Paramus passed away on January 6, 2019. Beloved son of Sharon McCready-Hartz and Thomas and Teresa Anastasio. Cherished boyfriend of Kerilyn Deere. Loving brother of Morgan Hartz, Mason Merkle, Justin Anastasio and his wife Daria, Johnny Anastasio, Nicholas Anastasio, Kenneth DeFranco and his wife Lauren DeFranco, and Dr. Christine DeFranco-Trentacost and her husband Brian Trentacost. Dear uncle of Liliana Grace DeFranco. 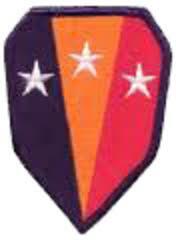 Thomas was a Sgt with Delta Co 2-113th IN 44th IBCT. ​Visiting Friday January 11,2019 2-4 and 7-9 PM at Riewerts Memorial Home, 187 So. Washington Ave. Bergenfield. All will gather at the funeral home on Saturday January 12, 2019 at 10 AM for the Funeral Mass at St. John the Evangelist R.C. Church, Bergenfield at 12:30 PM. Cremation will be private. In lieu of flowers memorial donations may be made to Delta Unit Family Readiness Group (FRG).